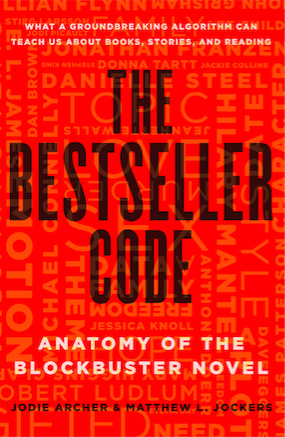 The Bestseller Code is about massive success in the world of fiction—how it happens, what the hallmarks of bestselling are, and just what is it about certain novels that has the whole world clamouring to read them. It shares the research of an algorithm I developed with Prof. Matt Jockers, which is able to predict which manuscripts will hit the lists with over 80 percent accuracy. It’s really a book that celebrates reading and writing. My background is publishing: before I went to do the PhD in contemporary literature that led to The Bestseller Code, I worked with many writers. I still believe in writing what you know, persevering, writing in your own voice and having faith in its authenticity. The worst thing you can do is to try to imitate. But there are also many more practical things prospective writers could do that they are not doing. Get educated about the industry. Make sure your manuscript has absorbed the feedback of at least five trusted readers before you submit it. Listen to constructive criticism. Consider self-publishing. 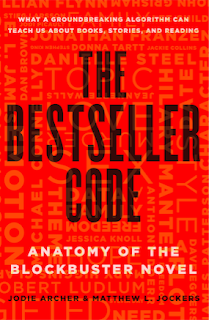 And if you are writing fiction, many writers have written to us telling us that the revelations in The Bestseller Code have totally changed their writing lives for the better. “A word after a word after a word is power.” Margaret Atwood. 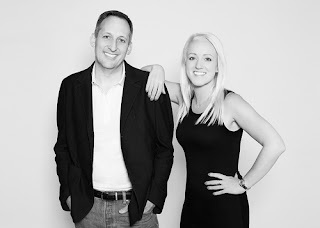 Matt and I have a website and blog at www.archerjockers.com. 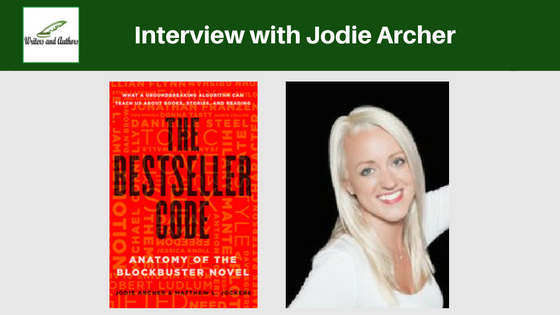 You can find me on Goodreads and follow us on Twitter @jodiearcher11 and @mljockers. The research behind the book began at Stanford in 2010 and went through several iterations. The writing itself took Matt and I three very intensive months, writing about 8 hours per day. Co-writing is an interesting experience—you definitely need to be with the right person! I’m still working in the industry helping other writers, but on my own writing desk I currently have a memoir in progress and the start of a young adult work in fiction. I’m excited about both! I haven’t self-published anything yet but I am open to it. I have learned a lot about self-publishing over the past few years working in the book industry and I know some authors who have been very successful at it. Romance especially seems like a genre that many self-published writers are finding success with, followed by mysteries and thrillers. I like the control self-publishing offers, but to be good at it I think you have to find a businessperson and marketer somewhere within yourself, alongside your inner writer. I am grateful to be traditionally published so that marketing and publicity is well taken care of, and I have more time to work on new projects. It’s always great to have the support of a good editor in a good house. I think writing, like any calling, comes from within. I lived with the call to write for a long time before I pursued it. Unfortunately, there is so much rhetoric out there about how writing is an unlikely full time profession, and that it pays badly, that I put it off for some years. People who feel it’s their calling to write are too often told not to daydream and to get a “proper job”. That’s a real shame. It is a proper job, and I think every successful writer I know started by following that inner pull. Confidence grows as you share snippets of your work with a variety of people and their feedback is strong. I have a favorite reading chair in my office, and it’s currently so full of unread books for the Fall and Winter that I don’t know where to start! Lots of genres, some new books and some older ones. The top five on the stack are 84 Charing Cross Road by Helene Hanff, (love this book and want to read it again), Pond by Claire-Louise Bennett, Homegoing by Yaa Gyasi, The Book That Matters Most by Ann Hood, and Bark by Louise Moore. A lot of my favorite writers also have a new release this Fall, so I am going to be doing a lot of reading! I moved from California to Colorado last year and am involved in a (far too over-ambitious and intimidating) house renovation, and am also loving getting to know Colorado through hiking. 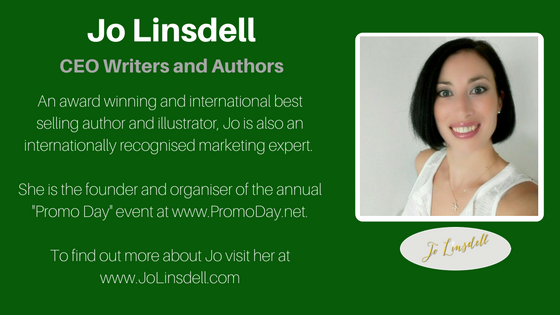 I also work with other writers and businesses in the writing world on a part time basis. That, and I like to find the time to enjoy a nice cocktail with my husband now and again.